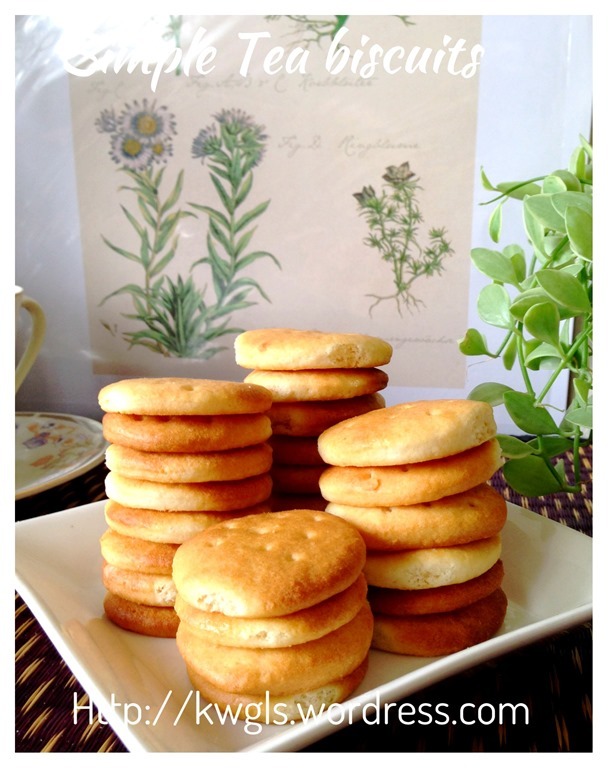 Most of us grew up with western style biscuits together with Asian items such as kuih, porridges etc.. as our breakfast items…..However, the so called western biscuits that we have then or even now are very different from the biscuits appeared in our recipe books…. 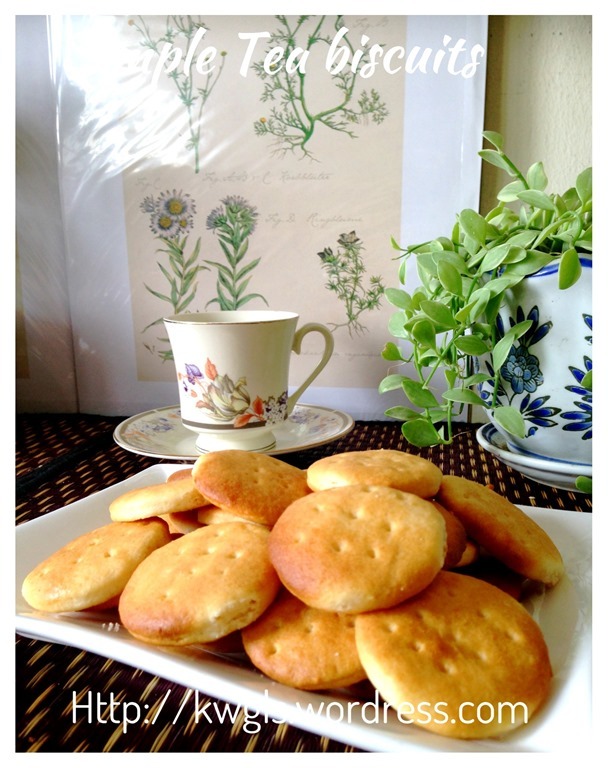 After I issued the Cheesy Bites post and Little Mantou aims for kids, one friend PM me and post in my Facebook picture asking me if I have any recipe for Marie biscuits or Mcvites Rich Tea biscuits. 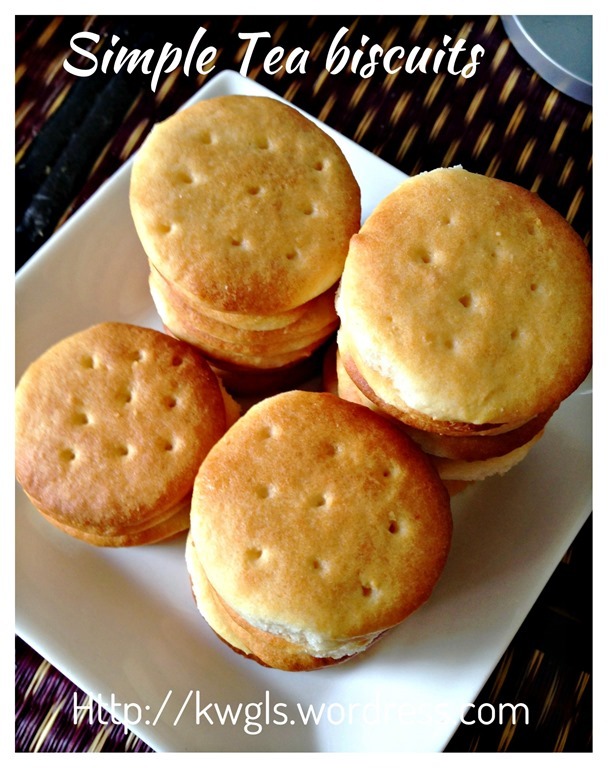 She told me that her kids like the biscuit very much and just try her luck asking if I have the recipe.. 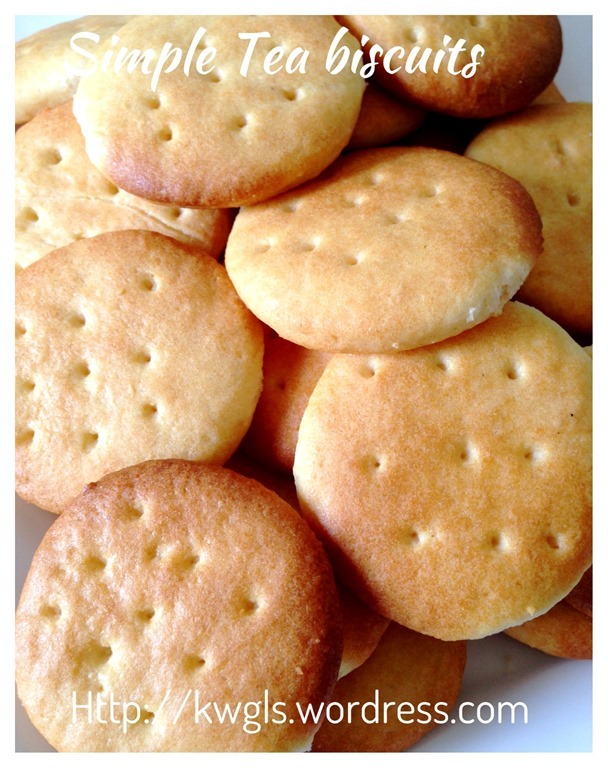 This childhood biscuit really stir up my curiosity to find out further… I make a lot of biscuits but I never make one that I commonly bought from the supermarket.. 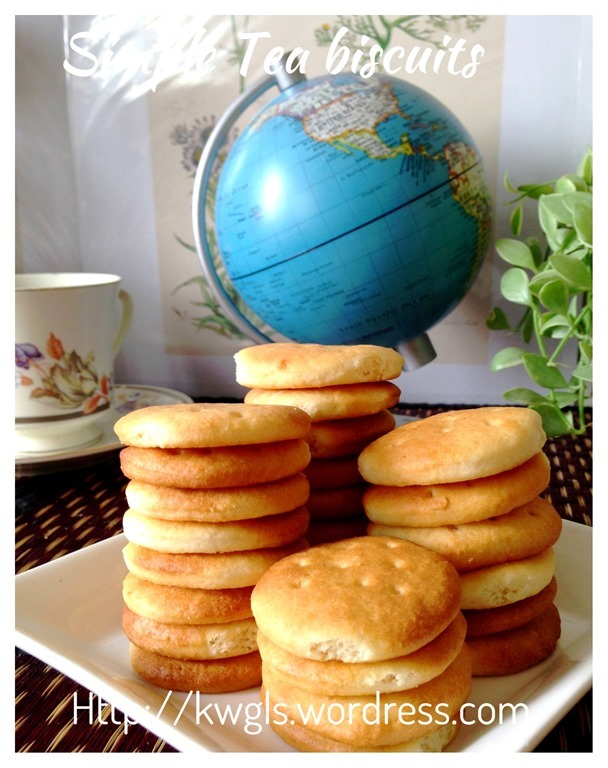 The external appearance of these biscuits are not oily, plain and have a unique taste but definitely not buttery taste… How can it be so tasty that I liked it for so many years and capture the hearts of many of us… Most will not be able to reject if they were being offered some for breakfasts or teatimes…. 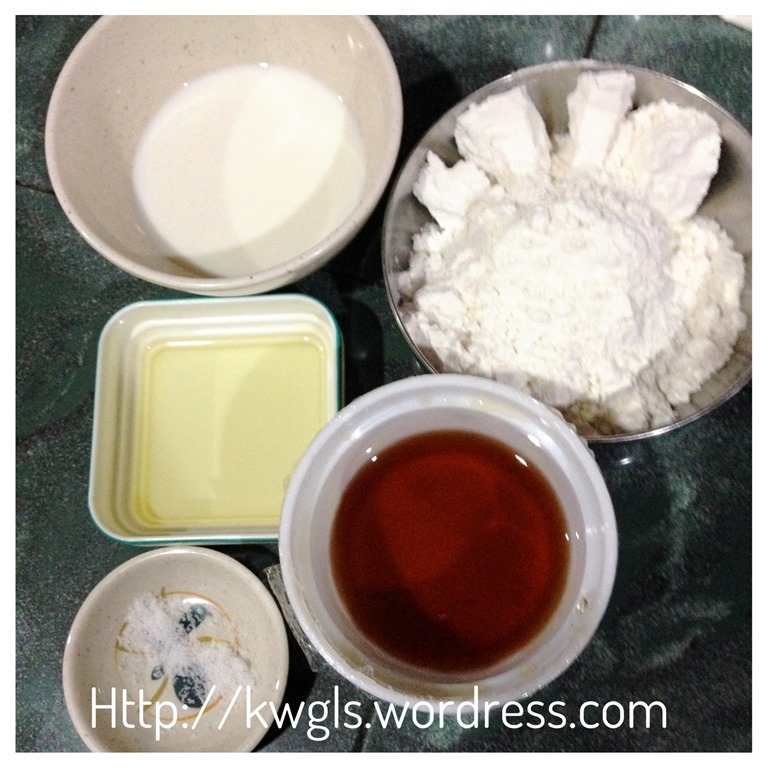 In a big mixing bowl, put all the ingredients (except milk) together, stir until well mixed. Gradually add in the milk, use hand to knead the dough until it form a soft pliable dough. The dough should not be too sticky and rather nice to touch. 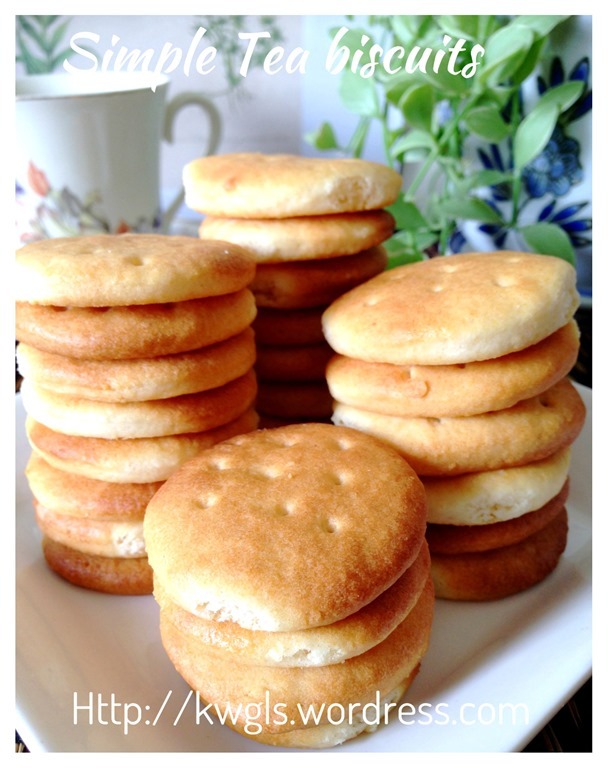 If it is too sticky, add flour tablespoon by tablespoon. 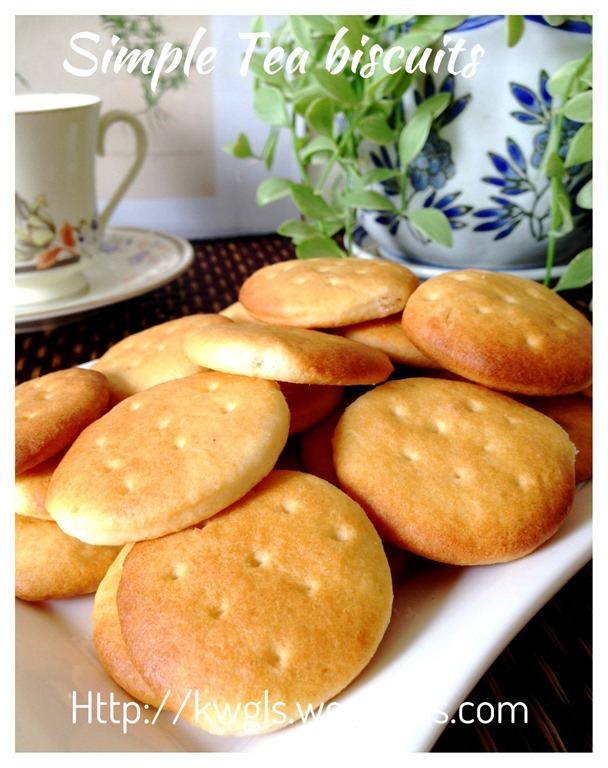 If it is too dry, add in milk teaspoon by teaspoon. Transfer the dough to a floured working surface, use a rolling pin to roll it until it is about 2mm thickness. 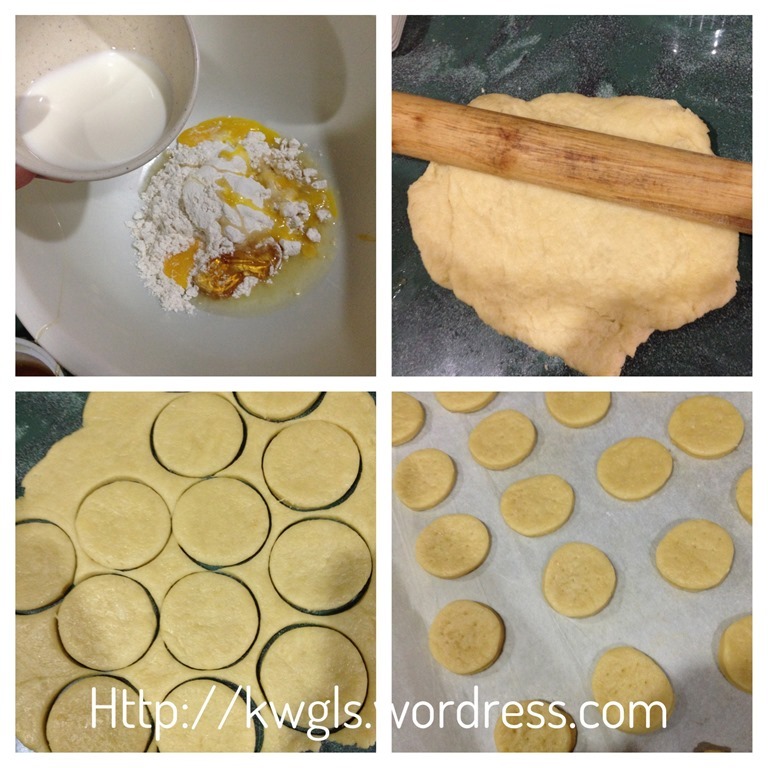 Use a cookie cutter to cut the dough into a circle shape with 3-4 cm diameter. Use something sharp to make holes in the surface. Bake in the pre-heated oven of 180 degree Celsius for about 15-20 minutes or until it turns crispy. 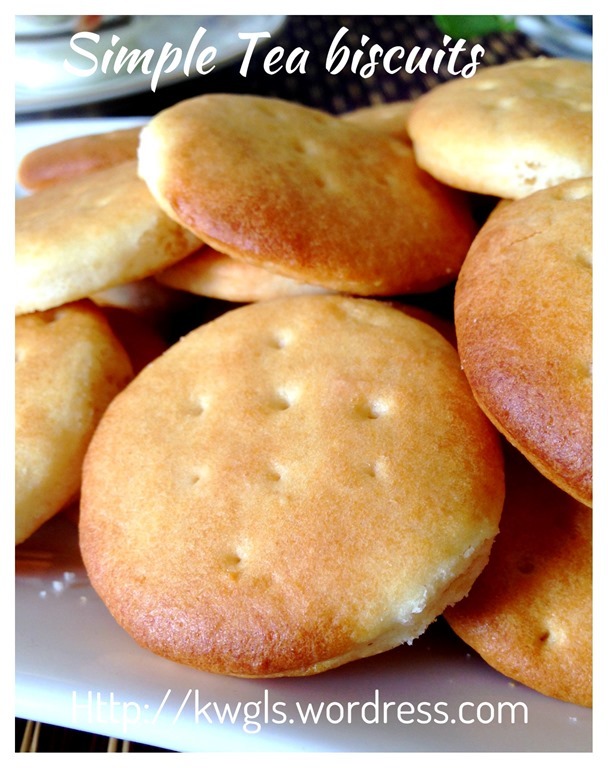 Let the biscuits rest in the baking tray for 5 minutes before transferring the biscuits to a rack for complete cooling. Once cooled, store in an air tight container. 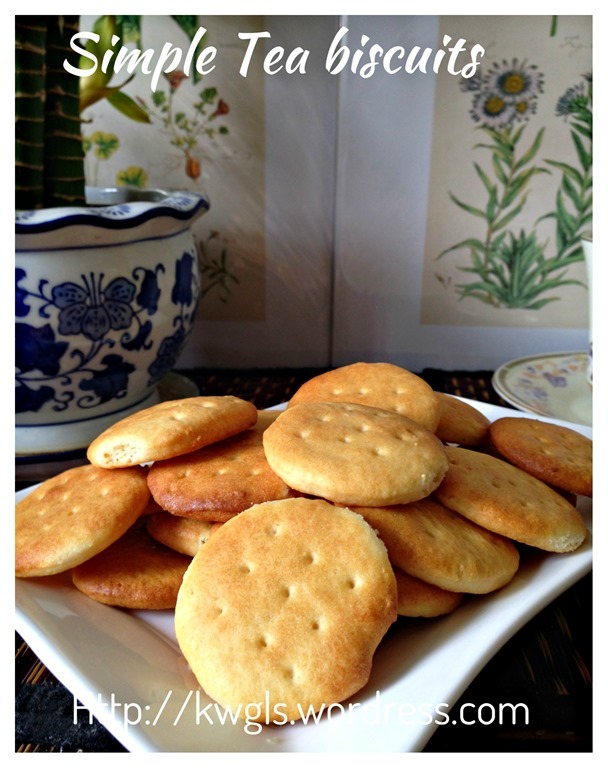 Depending on your objectives of the bake, the biscuits can be as healthy as you want it to be.. 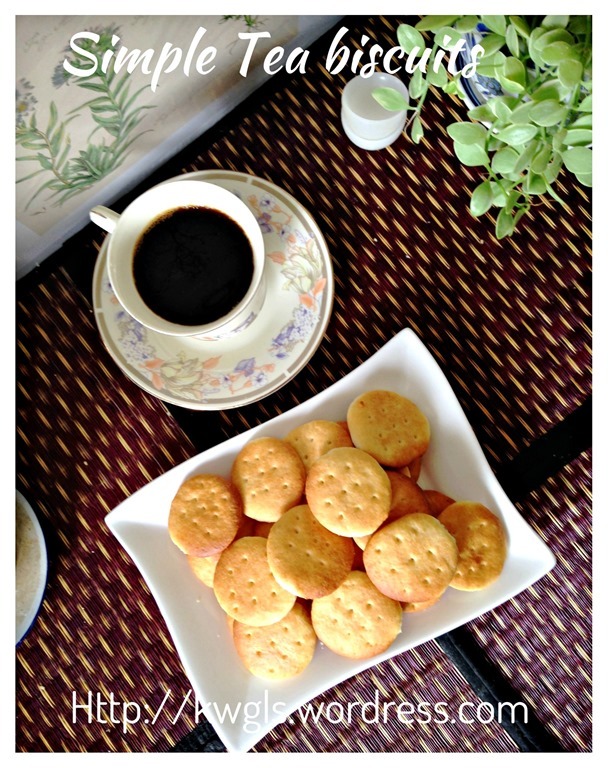 This is a nice plain biscuit on its own and I should say that I am happy with this adventure. 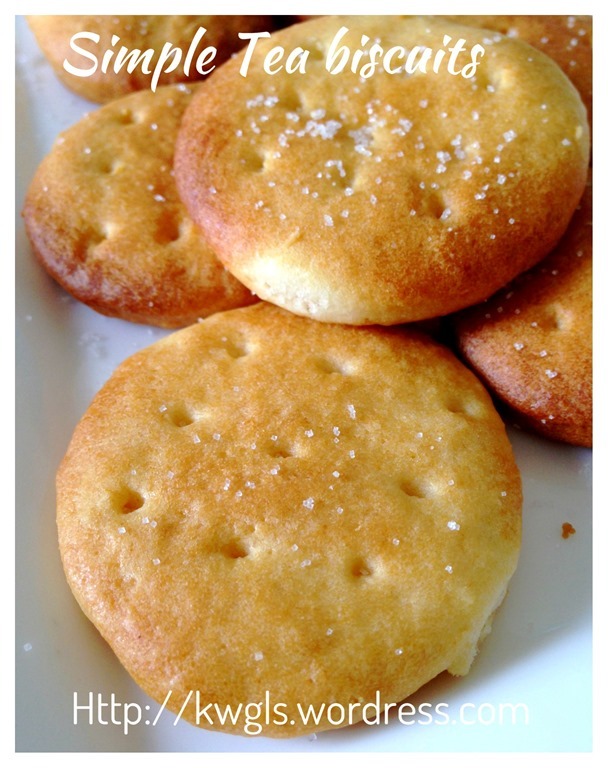 I hope this will help those readers who are looking for child friendly recipe… Again, never compare homemade biscuits with store bought … It will never be the same as that it is their trade secret and nobody would know their exact ingredients.. With this basic biscuit recipe, feel free to explore more variations, possibly adding cheese or desiccated coconut.. 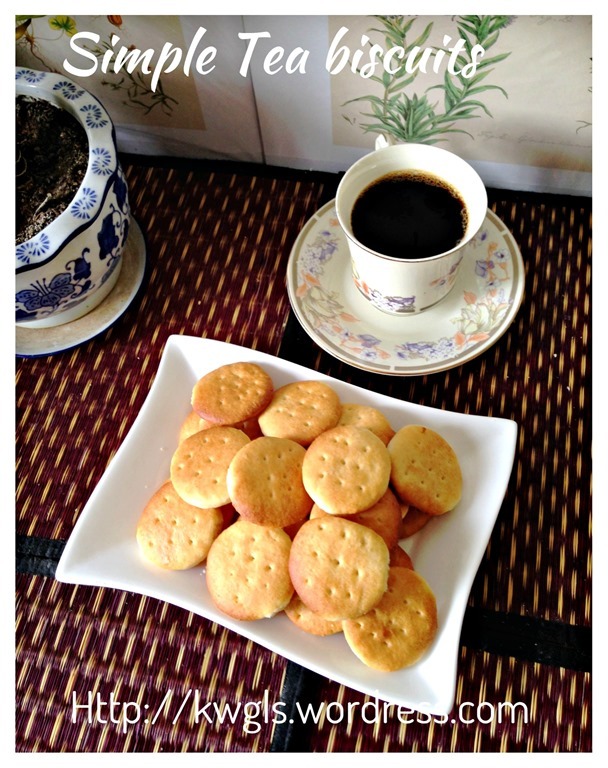 This entry was posted in Cakes and cookies, Food Preparation Series and tagged 8, GUAI SHU SHU, Guaishushu, kenneth goh, marie biscuits, postaday, Rich tea biscuits, tea biscuits. Bookmark the permalink. hi, just wanna ask if i dont have maltose, which can be substitute? Yeah! I was the one that PM u! Feel so touching to read what u wrote. My feeling like “Dream comes true” hahaha! Because I searched and asked around, no one replied me, no one has the recipe. So disappointed! But Praise God! You have made it! 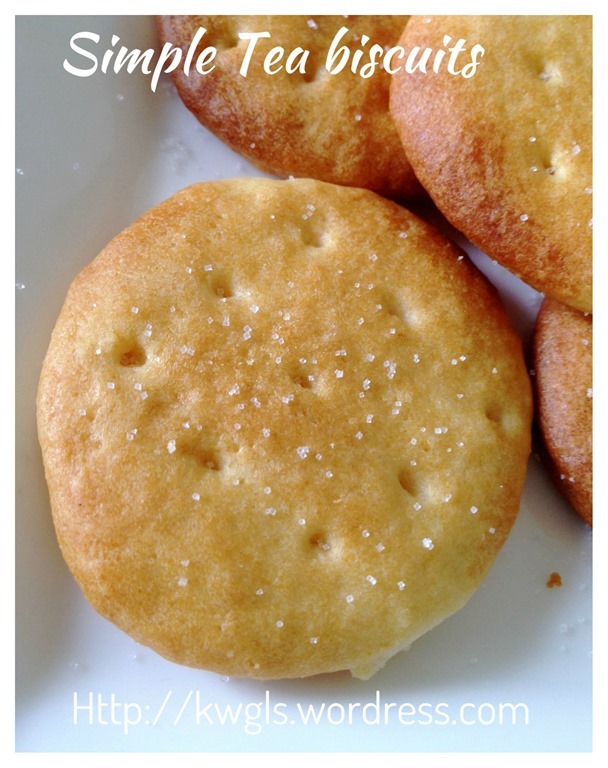 I can make healthy yummy cookies for my 20mo son! Hi, may i knw can i substitute maltose with other ingredients?